As Catalina has shared, she has recently battled depression. It was something that crept up on us. When it hit, we scrambled to figure out how to combat it and what it all meant. It was certainly unnerving for Catalina, but it was also unnerving for me. Catalina seemed to be a different person. I wrote "Moonstruck" as my way of trying to understand her. I took her descriptions of her feelings and actions along with my observations and put it into a poem. I asked Catalina if she felt it was an accurate portrayal, and she said it was. I'm sure everyone's experience with depression is different, but this is my take on it. ​“Quiescence” was not initially one of my favorites in Elin’s compilation, but it grew on me. I think this was partly the case because our lives have become much more hectic, and I recognize the importance of quiescence more than ever. ​“Yellow Brick Road” is a sonnet in the compilation for Baby K, a child we knew of, but never knew. This sonnet explores Eastern thought and why I don’t find such thought compelling. ​“Pride” is one of the later sonnets I wrote for Elin’s compilation. While I do like the sound of it, my favorite part is the triple meaning at the end. I feel like I was able to convey a lot of ideas in a very short amount of space. ​“White Coat” is a sonnet in the compilation for Baby K. It explores Western thought and why I don’t find such thought compelling. ​“Four” is the fifth sonnet in Atticus’s compilation. It explains what I believe a family truly is, and hopefully helps him to know that his family will always love him – no matter what. ​“Zero” was the first poem I wrote for Atticus’s compilation. In the sonnet, I use the number “zero” to represent my wishes for his life and my love towards him. ​During each pregnancy, I go through this emotional time where I feel like I’m going to die. Fears begin to rise up in me – fears that I won’t live to know my children and they won’t live to know me. 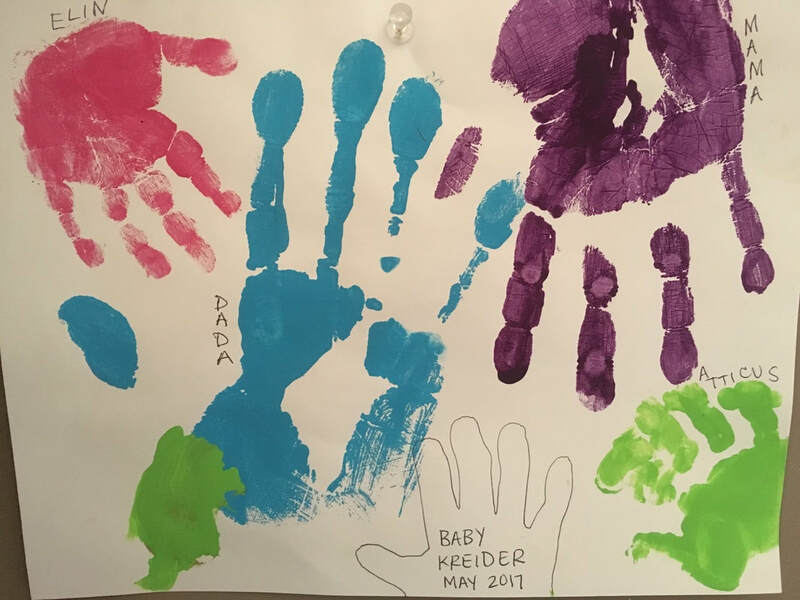 That is a large part of why I create keepsakes for them during each pregnancy – so that if I die before they know me, they can have something by which to know me, and to know my love and wishes for them. “Home” is a poem that expresses this fear. I wrote it while Elin was a newborn. I was sitting in our glider right after I laid her down, thinking about how I would feel if I died right then. While I knew the Christian answer was that my death would finally unite me with my God and my true home, I also knew that the Christian answer told me death was bad, the body wasn’t, and my family is to be cherished. In this poem, I try to create that tension between two homes. ​I wrote “Life’s Demise” as I watched my grandfather gradually pass away over the course of a few years. His body slowly shut down and he eventually got to the place where my grandmother could not take care of him anymore. At that point, there wasn’t much option but to put him in a nursing home, as he needed constant attention. That was a difficult decision for the family to make - especially for my grandmother. As I saw my grandfather waste away, and as I thought about him lying in a bed 1,000 miles away, it made me so sad. When I thought of my grandpa, I pictured the 70 year old who was a former farm hand - still mowing the lawn, cutting down tree limbs, and attacking physical labor head on. I thought of the vibrant, jovial grandpa. But he hadn’t been that for a few years. And as the former grandpa was vivid in my mind, the current one slowly faded out of this temporal existence – in a way, forgotten and unnoticed. It was hard to see him in his state and it was difficult to see him when we did get the chance to visit because it was just so sad. In some ways, we withdrew from him. We began letting go of him while he was still with us because HE - the grandpa we knew and wanted to remember - didn’t seem like he was really still with us. “Life’s Demise” tries to capture this process. It speaks from a first person perspective of someone like my grandpa who is slowly being courted by death. As the affair with death deepens, the living around him withdraw. In the end, it seems it would have been better to just die than to linger, for it is the continuing to live that destroys. To die in a car accident in your prime may cut off your future, but it entrenches your legacy. You will always be remembered in your prime, and you will leave with the exasperation of many. Such is not the case when you linger. I attempt to depict this slow wasting by gradually fading out the rhyme scheme. It is why, when you get to the end, it sounds so unresolved. It just lingers without a finality to the ear.